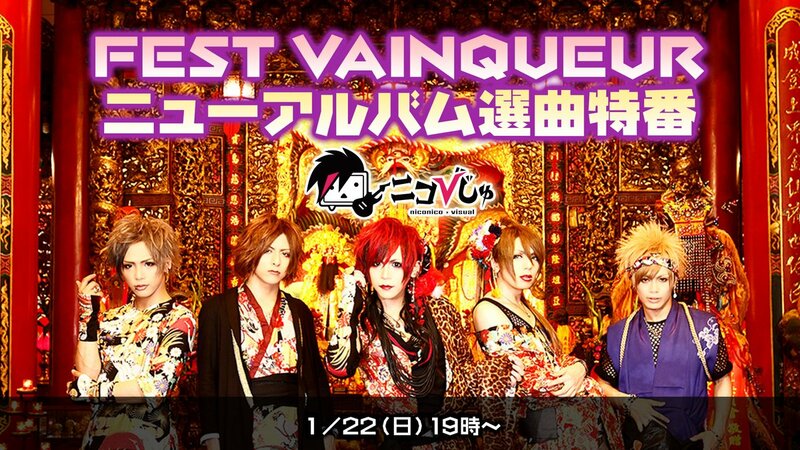 FEST VAINQUEUR Releasing New Album "BREAK!!" 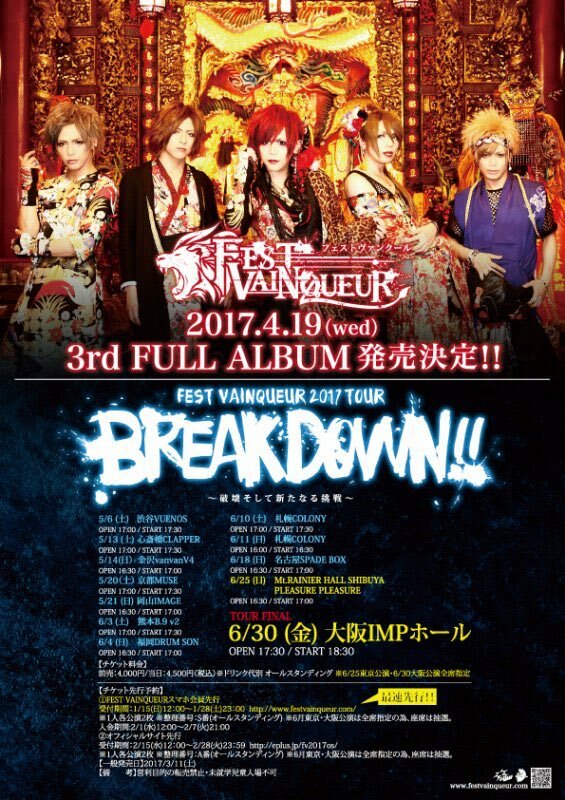 FEST VAINQUEUER has revealed details for their 3rd full album, "BREAK!!" It will feature 10 brand new songs and be released April 19th. Song samples for each track are available on the discography page of their home site. 5 of the band's songs will also be presented during a NicoNico broadcast on January 22nd.